Michael Massey has been conductor of the EYO since 1977. He is Pianist with the Edmonton Symphony Orchestra, and is widely respected as a conductor, soloist, teacher and accompanist. In 2002, for his contribution to the cultural life of Edmonton, he was inducted into the Edmonton Cultural Hall of Fame, as an Artist Builder, and also received the Queen’s Golden Jubilee Medal. In October 2016, in recognition of his long service to the Alberta music community, Michael was inducted into the “Alberta Order of Excellence”, the highest honor the Province of Alberta can bestow on a citizen. 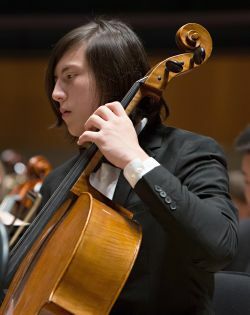 Fifteen-year-old Jonah Hansen began learning the cello with Victoria Clarke at age five, where he enjoyed chamber music and cello ensembles under her coaching. At age thirteen, he began to study with Rafael Hoekman. Jonah was the Principal Cello of the EYO Intermediate Orchestra in 2016- 2017 and is currently a member of the EYO Senior Orchestra. He achieved RCM Grade Nine Cello at age thirteen. Jonah has participated in the Kiwanis Music Festival for the past seven years and Fall Festival in 2018, receiving many scholarships, including the Alexandra M. Munn scholarship. He has been recommended to the Kiwanis Festival Alberta Provincial Competition several times, and was awarded second place in the Junior Cello Category in 2018. He has been invited to perform as an emerging artist for the Summer Solstice Music Festival for the last two years. In the summer of 2018, Jonah attended the Valhalla Fine Arts Summer Camp working with John Kadz, Johann Perron, and the Cello and Chamber Music Seminar at the University of Alberta working with Rafael Hoekman and Laura Veeze. Jonah occasionally performs with his violinist sister Jillie, for special occasions. He also enjoys playing sports, especially volleyball and badminton. He regularly volunteers at the Misericordia hospital. He looks forward to more competitions in future such as the Canadian Music Competition, and to learning more of the great cello works. 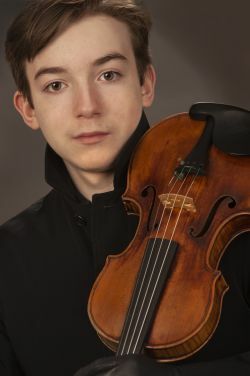 Born into a family of musicians, fourteen-year-old Jacques Forestier has been playing the violin since the age of two. Currently studying with Bill Van der Sloot at Calgary’s Mount Royal University, Jacques is also part of their Academy Program for gifted youth. Jacques has been the recipient of many awards and scholarships, including the Winspear Scholarship, The Ranald and Vera Shean Scholarship and the Alexandra Munn/John and Andrea Wallin Scholarship. He also has placed 1st at The Alberta Provincial Finals and the Canadian Music Competition. In 2015 Jacques performed at New York’s Carnegie Hall in the Winner’s recital of the American Protégé International Music Competition. Making his orchestral debut with the Edmonton Symphony Orchestra at age eleven, Jacques has also been a featured soloist with the Alberta Baroque Ensemble, Edmonton Youth Orchestra and the Edmonton Philharmonic Orchestra. In September of this year, Jacques won 1st place at Lethbridge Symphony ‘s biennial Young Artists’ Competition. He will be a guest artist with the Lethbridge Symphony Orchestra in their 2019-2020 season performing Mozart’s 5th Violin Concerto. Over the last few years Jacques has had the great opportunity to study with world class instructors such as Midori, Ida Kavafian, Patinka Kopec, Itamar Golan, and Pinchas Zukerman. Jacques participated in the prestigious 2018 Menuhin International Violin Competition in Geneva, Switzerland, being the only Canadian to qualify for this competition. Children under 3 will be admitted free of charge to the Viewing Room. They will not be admitted into the main chamber. 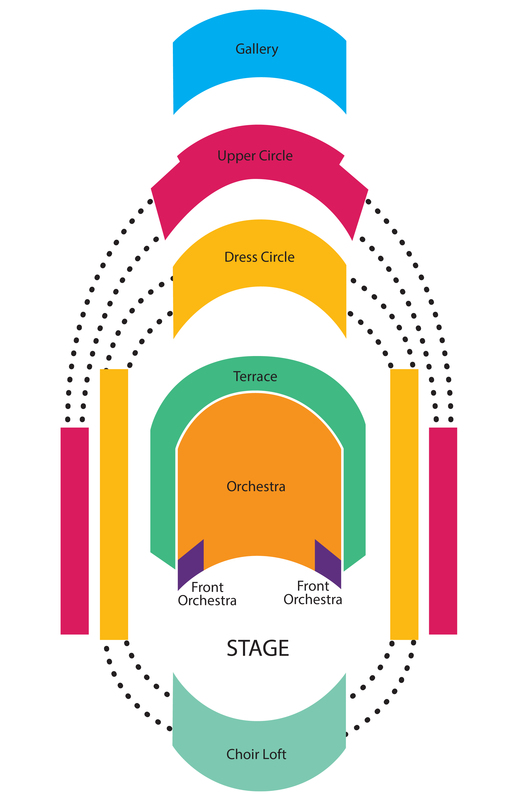 Adults and children 3 yrs and older will need the usual oncert ticket in the viewing room.